The topic of connoisseurship is perennially controversial. Some simply dislike the word, while others find it an arcane act of divination with no reproducible method. Those who may be curious about my own position on this topic should be aware that I do not consider myself a connoisseur, nor even an art historian. I am aware that I write about art history, but see my role increasingly as that of a plain language advocate or intercessor, collating large amounts of data from scholarly, often obscure sources and describing their historical and technical clarity in a neutral and openly accessible manner. This is done firstly to enhance my own knowledge on the subject, but is also shared online so that anyone reading along may hopefully gain further insight into the topics presented. In considering the term "connoisseur", I will admit a (personal) preference for something more universally descriptive such as "visual analyst". Art history is already replete with the detritus of verbose banter is several languages. It is hard to find a volume on Renaissance iconography, for example, that is not littered with phrases in Latin, Italian and French, describing art historical conventions that often go untranslated. 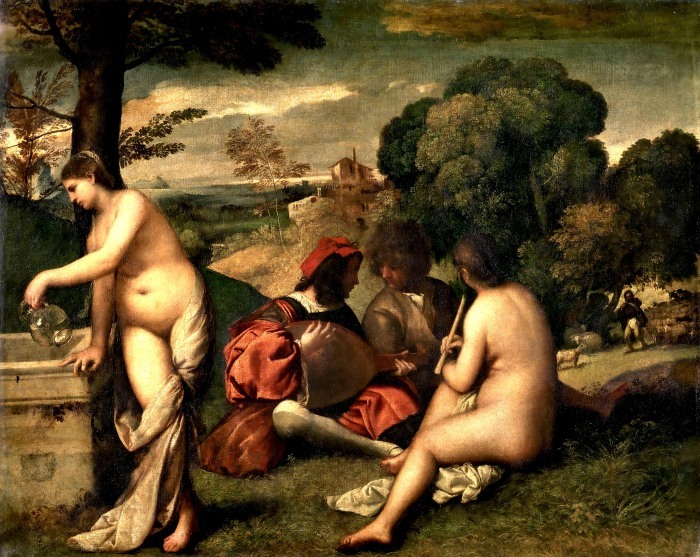 As 3PP primarily engages the public, I try to avoid using this jargon, or at least present clarifications when necessary - such as my summary of the various interpretations of Titian's famous Sacred and Profane Love (link). As far as the tools of a connoisseur, these are primarily of "visual analysis". I would hope practitioners of this skill can become used to describing themselves as "analysts" in order to further connect with the public and potential students. 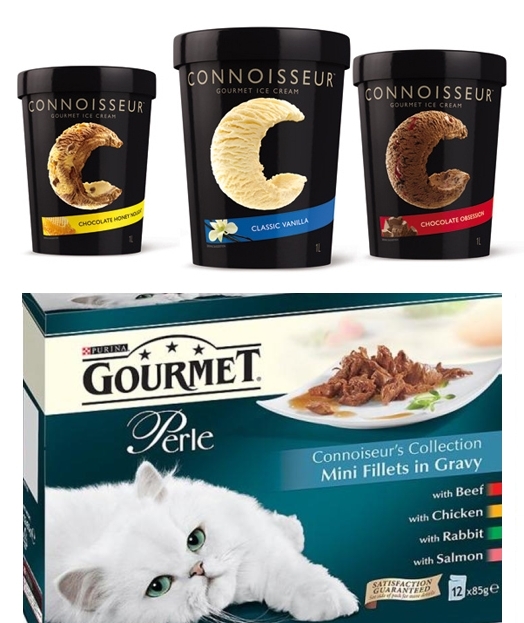 In modern use at least, the word "connoisseur" equally means having a refined taste, as numerous products from cat food to ice cream will attest. Since the word "analyst" is clear and commonly understood across many disciplines and by the public, those who prefer to cling to "connoisseurship" seem uninterested in broadening the appeal of their skill set to successive generations. The skills used in connoisseurship are equally applicable in the art market, academia and law enforcement. Yet despite this, the number of students presently trained with these skills has (anecdotally) declined since previous generations, with art history shifting to thematic, theoretical and literary modes of analysis. 1. Subject - Theme and iconography, including social and historical context. 2. Documentary - Historical evidence adding to our understanding of the piece/its creation. 3. Condition - Visual and technical analysis findings (formerly described as "connoisseurship"). 4. Critical consensus - A summary of published analyses commenting on the author of a piece. The position of academic institutions on connoisseurship is variable, and in some cases, controversial. In February 2013, the College Art Association (CAA) conference in New York is hosting a panel on The New Connoisseurship. It is hoped that this panel will begin to set the parameters for academics and students to work through the problems associated with the notion of connoisseurship, and instead shift the focus towards the useful analytical skills this approach demands. Professor Dana Arnold's book Art History, A Very Short Introduction was recently the focus of an highly discussed post at Art History News, a blog maintained by art historian and gallery director Dr. Bendor Grosvenor. Professor Arnold's book discusses the cultural factors associated with art appreciation, something rarely covered by Western art historians discussing Western art because they are invariably from cultures that view these modes of art expression as the norm. I would like to explore these comments via a consideration of my own history. ...taste is both culturally and socially determined, so that what is considered aesthetically ‘good’ and socially ‘acceptable’ differs from one culture or society to another. I found this particularly resonant. My own study of art history, with a focus on the Renaissance is greatly at odds with my own cultural background. 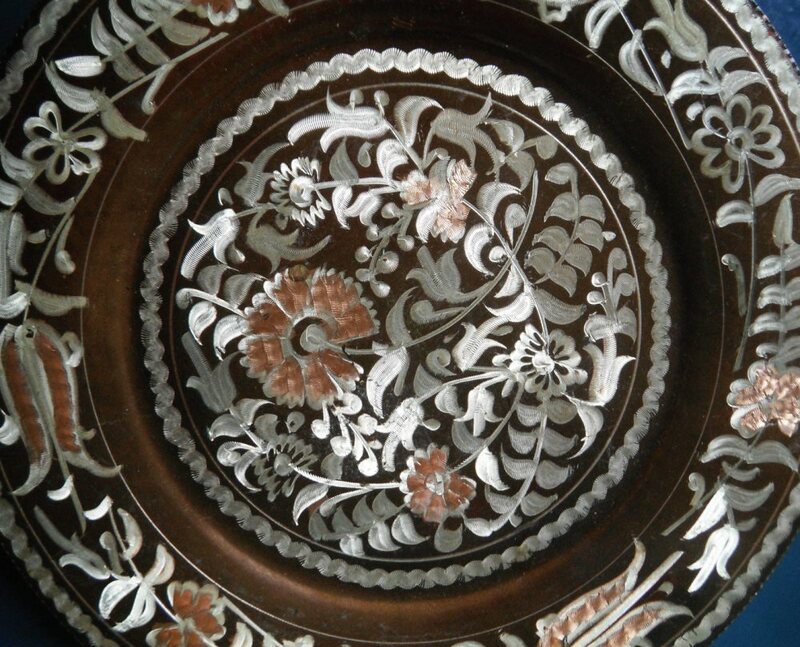 I was not raised in a home with paintings or reproductions on the wall - the forms we found most beauteous, or at least familiar were those associated with the art and culture prevalent in Turkey and Cyprus. 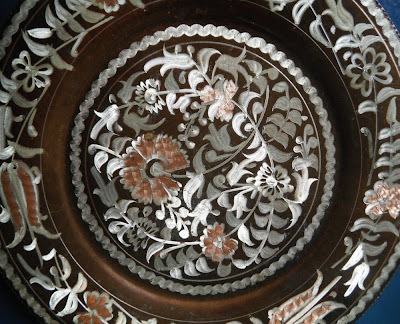 Unlike my Italian friends, many of whom had reproductions of Leonardo's Last Supper on a wall, my family home is still decorated with copper engravings, wall hangings and tapestries depicting scenes relevant to my Turkish and Cypriot cultural heritage. 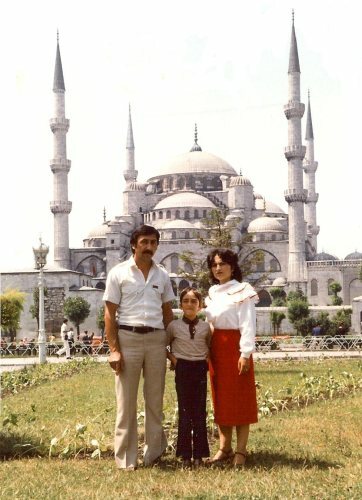 Perhaps my own most powerful "art historical" experience was visiting Istanbul at age 7, and standing before the great Byzantine church Hagia Sophia and the wondrous Blue Mosque (image below) My natural response was to be in awe of the remarkable fusion of engineering skill and beauteous design. Hence, despite the cultural familiarity with Byzantine and Islamic forms, so often the focus of study for art historians with my cultural background, how did I end up being so intrigued by Renaissance art? In front of the Blue Mosque in Istanbul, 1983. To answer this question, the single most influential factor was my education, where my family's social and economic status placed a more comprehensive education (just) within reach. I was raised in the Western suburbs of Melbourne (Australia), which have a higher proportion of residents who are unemployed and in a lower socio-economic bracket than other regions. In particular, its public schools - at least back in the 1980s and 1990s - were notoriously overcrowded, with academic performance correspondingly lower than other areas. This prompted my primary (elementary) school teachers to recommend that I attend a private high school, which required a great financial sacrifice by my family. It was at this high school where I was first introduced to the formal study of art history - which was a compulsory subject between Years 7 and 10. In the final years of high school, I had the great fortune to study "Cities in History" over two years - with the first year dedicated to Renaissance Florence, and the second to Renaissance Venice. My very first essay on a painted artwork, Tintoretto's St. Mark Rescuing a Slave was written during this time (an updated version of it was one of 3PP's earliest posts) Had I attended the local public school, a four year study of general art history with a two year focus on Renaissance history would not have been possible. It was the great encouragement I received from my "Cities in History" teacher that gave me the confidence that has followed me throughout my study of this subject. Hence, when I "returned" to art history via blogging in 2009, I spent my first few months calling upon what I learned at school. As a result, you will find 3PP's earlier post are general and more playful accounts, such as Dante and Virgil on a Hellish boat ride (link) and God's backside and Michelangelo's not-so-hidden brain (link). My trajectory from more general art writing to a specific research task focusing on Raphael has much to do with my present social conditions. I live in a quiet neighbourhood with my partner. I have no dependants, and enjoy my work during the day as a physiotherapist in the public health service. My career as a clinician takes care of living expenses, and some of my spare time is presently dedicated to art history. I do not feel limited in what I can write about - there are no institutional toes to tread on, and no axe to grind. I can focus entirely on the facts being presented, and continue to try set an example for a rational discussion of Renaissance art online. In reviewing the post at Art History Today, I hoped to illustrate that valid points were raised by both Professor Arnold and Dr. Grosvenor. I certainly feel that my current place in art history and on the web is a result of my social and educational history, and also agree with Dr. Grosvenor's "Anyone can do it" - although I would add that many people have often written to me saying they find this topic intimidating, and are less confident to post comments publicly because they feel their knowledge is insufficient to contribute. In the past, some connoisseurs may have been intimidating, and even elitist. Many were just plain wrong. But that's just a reflection on the person, not the skill. In the same way, some art history professors can be wallies. It doesn't mean all of them are. ...it is important to think about the social dimension of taste as having more to do with art as a process of social exclusion – we are meant to feel intimidated if we don’t know who the artist is, or worse still if we don’t feel emotionally moved through the ‘exquisiteness’ of the work....We have all read or heard the unmistakable utterances of these connoisseurs. But luckily their world does not belong to art history. Instead, art history is an open subject available to everyone with an interest in looking at, thinking about, and understanding the visual. It is my intention in this book to describe how we can engage with art in these ways. This discussion also reminded me of my recent experiences at the Prado. I used this conference and exhibition as an opportunity to introduce myself to the world's most prominent Raphael scholars. Even with the work I had done to date, and some kind introductions facilitated by other specialists, it was intimidating - as a member of the public - to approach these great scholars. We can only imagine how it may be for a member of the public or a student without a body of work or favourable connections to approach members of a profession who have traditionally been insular and reserved in addressing non-specialists. I can not be certain whether my own experiences are unique. I have a feeling they are not. Do other readers feel confident to engage scholars or contribute to art historical discussions? For those in the field, do you feel your social and educational history has had a significant impact on your choice to work in art history? Please feel free to leave comments below. *This post is dedicated to my Mother and late Father for resiliently providing the gift of education. *3PP would also like to thank Professor Dana Arnold for her frank comments in Art History - A Very Short Introduction, and Dr. Bendor Grosvenor for his efforts in public outreach and humanising the face of the art market. Through Art History News and Fake or Fortune (with a new series starting in September), public knowledge of the intrigues of the art market and connoisseurship is higher than ever before. *The Pastoral Concert via C2RMF. The author of this painting is one of the great mysteries of Renaissance art history. Long thought to be a Giorgione, the Louvre currently assigns it to Titian, although there is no clear critical consensus. Despite this confusion over who has painted it, it remains one of the most captivating and famous images in Western art history. This is a very interesting post Hasan, and very relevant to me personally. I have been very passionate about art history since I was a teenager... and since it never occurred to anybody including myself to pursue it seriously, I ended up studying something else in college. For years I pursued more knowledge in this field quietly, and as a spectator... I could never voice my opinion openly since I felt I wasn't qualified... I was no connoisseur nor a scholar. Now thanks to the online art history community and people like yourself, I feel I can voice my opinion and it might even matter. No matter what we would like to believe, art history, unfortunately, is still an elitist concentration. I think most people are turned off or intimidated by all the importance we assign to a work of art and its significance. "...art history is an open subject available to everyone with an interest in looking at, thinking about, and understanding the visual." This is so true. I just wish more scholars felt this way. About engaging scholars and contributing to art historical discussions - I think the online art history community is doing a tremendous job of making art much more accessible to the general public. I wonder if your recognition of connoisseurship's task is the very reason why lots of art history faculties are wary of offering undergraduate courses in connoisseurship. Of course it imposes a kind of hierarchy of taste! If we want students to make discerning judgements in aesthetic matters, and we want what is proper and socially acceptable, then they need to study the subject formally. But therein lies the potential for academic war. Thanks, Hasan! I can’t believe that the “neo-prole sociologists with chips on their shoulders” and the “offensively elitist connoisseurs” are still slugging it out. It is like a thirty year old comic book from back when I was still in academe. Anything that you can do to help us get past this silliness is all to the good—and you have already done a great deal, I think. Be it resolved: (1) The term “connoisseurship” is hereby banned, except when discussing the history of the history of art, where it remains a crucial critical category, and (2) Learning to look at works of art involves essential skills and techniques—and we can’t just make it up as we go along, no matter what kind of art history (or history of art) we do. ha ha Edward... Connoisseurship is hereby banned! Certainly that will prevent the clashes described in the post, but won't the students miss out? Rational and elevated debates are always welcomed, as Hasan suggested. Mostly I think it happens. Very nice post, from the heart! I can fully agree with you, since I followed a similar path as you. Of course, 'connoisseurship' is essential if you have money and want to make more money (cfr Bernard Berenson, to mention only one 'connoisseur') and 'fashion' is also important: look at the present art market. Though I think the past was not much different. A 'cybernetic' approach can be useful for art historians. To resume: I don't care a bit for 'connoisseurship' and I totally dislike 'fashion'. I look for creative imagination in an artwork, which is essentially 'hard work'! You rightly write about the concept of 'analysis'. Not long ago you tweeted (for which I thank you very much) a YouTube clip of an interview with Bertrand Russell where he stressed the importance of 'facts' for any science progress. For me art history IS a science and thus should primarily 'observe, measure, analyse' and finely present a 'synthesis'. In such a synthesis 'not only pictures considered as the greatest masterpieces of art should be examined' (Aby Warburg, 1912). Keep going with your 'analysis'! Hels--The term "Connoisseurship" carries so much baggage and it really doesn't describe what we need to do today in order to assess works of art, incorporating various skills and methods. I would opt for "visual analysis" over "connoisseurship" in a minute--while emphasizing the crucial importance of learning to look at works of art (and describe them)in a rigorous and methodical way. With students, I would certainly want to discuss the concept of "connoisseurship" as an intellectual construct with a long history. They will be encountering a lot of wild and woolly stuff in books and especially on the web--and they need to be able to sort it out. I like your call for "rational and elevated" discussion. There is SO MUCH information that is available online, and I often get overwhelmed when I even look at my Google Reader. Lately I've found myself drawn to the sites which encourage such "rational and elevated" discussion, while also maintaining respectful debates. As you have pointed out in your post (especially with that great photograph outside the Blue Mosque! ), art and art history are intensely personal subjects for many individuals. I hope that we can all maintain our passion for the subject, but have such passion channeled in a productive way. On a side note, I've enjoyed this discussion in the comment thread about the term "connoisseurship." It definitely is an intellectual construct that has a long history, which is good to teach to students. Perhaps "scientific analysis" might be a more pinpointed term for today's practice than "visual analysis," so as to distinguish from the formal analysis method established by Wolfflin? Hello Hasan - great post. A subject near and dear to my heart...I am a trained restorer (I have a BA in Fine Arts). A lot of my education was based on learning a connoisseur's skills...and I loved every second! In my opinion the word connoisseur is antiquated - it's too closely tied to the belief that (the study of) art is an elite institution. That being said, it's only a word...and many of those who would be defined as connoisseurs today utilize not only their instincts (based on education, experience, and yes, passion) but technology, documentation, and tools that enable a comprehensive study. As any analyst would. Spectacular! We are again amazed to see these debates expressed across some major art history sites in English - and to see H Niyazi so calmly turning the arguments back onto the other commentators who apparently keep reminding us they are professionals yet act like something else. Bravo to your courage H Niyazi for TPP. Of course the debate must happen with calm, and at this point I do not see many others who are capable of it other than the interesting blogger from TPP! Thank you to all for the comments. The insights are much appreciated. Upon much reflection, I have significantly edited the opening portion of this post. This is made with the realisation that it was not written with a non-adversarial, rational and evidence-based approach that I hope to deliver at 3PP. The discussions occurring on this topic across this site, "Art History News" and "Art History Today" make for interesting reading, but are also causing argument, division and anger. To add a piece of writing that incites rather than diffuse this is (I feel) irresponsible and for this I apologise to my readers and to anyone that may have been offended by them. It is apparent many people feel strongly about this topic, and this is perhaps a good opportunity to realise that the way forward will need to acknowledge and reconcile the history of this area of study. The professionals employed in this area are wished all the best in their efforts, and 3PP readers are promised a return to the more even keeled standard of reporting in future.